This afternoon, Year 4 learnt how to apply their sketching techniques to a drawing of the Minotaur. We have been learning about the Greek myth ‘Theseus and the Minotaur’ in our Reading sessions and we were excited to find out what the Minotaur looked like! We followed some sketching instructions and practised drawing the shapes in proportion. At the end of the session, we all went around to look at each other’s sketches and gave positive comments about things we liked. 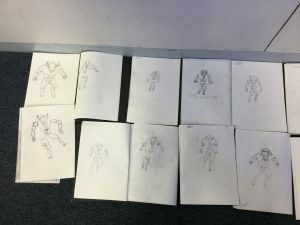 Take a look at our finished sketches!